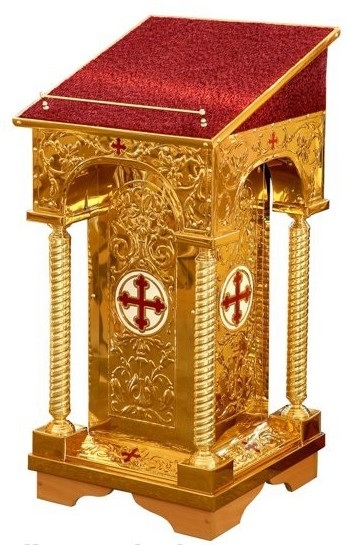 Church lectern no.603 - Istok Church Supplies Corp. Traditional Orthodox Christian church lectern. Water-resistant plywood, stainless steel covered with titanium nitrine, brass, casting, enamel, velvet. Size: 20 '' (50 cm)x20 '' (50 cm), : 105.